Usually we only write about dogs, yet this story caught our attention and we felt like it was worth sharing. However one of the main characters in this story is a wolf (or a very wild Husky haha), so we are not too far from our usual topic. Considering all of the members of the animal kingdom, the wolf might be the most ferocious one, yet the following story totally contradicts that. 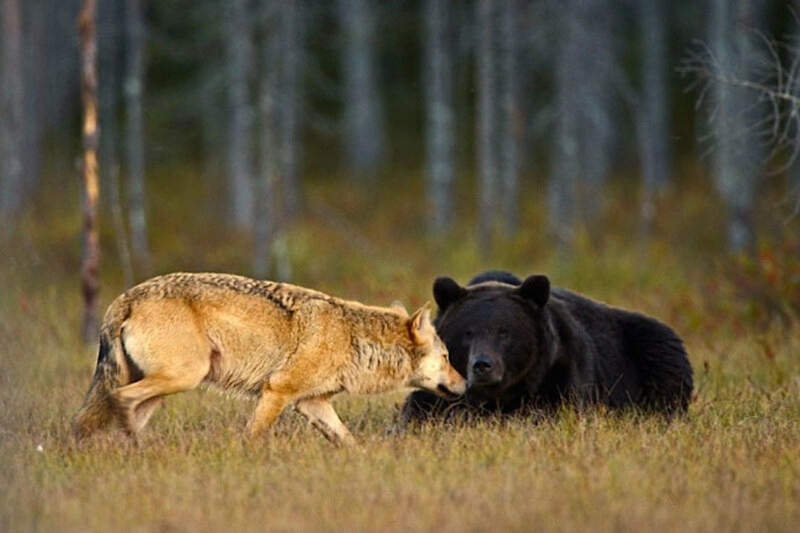 The story is about a wolf and a bear forming an unlikely friendship. 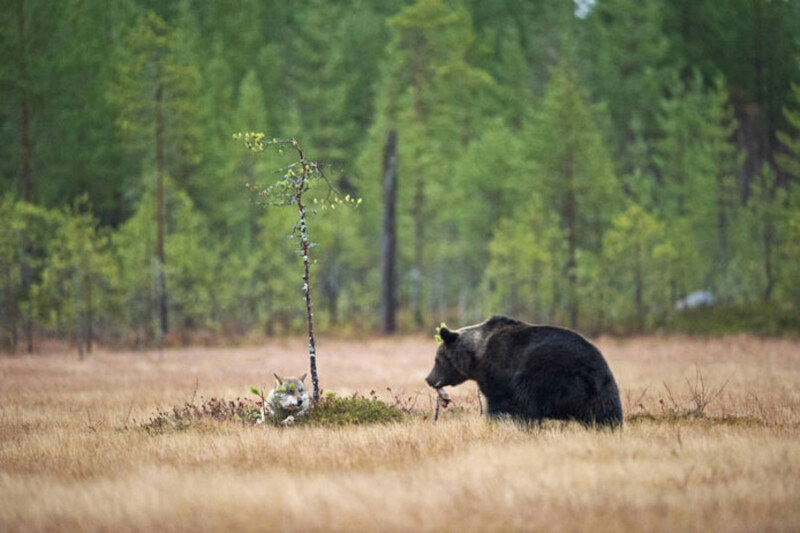 In the beautiful wilderness of Finland a photographer named Lassi Rautiainen stumbled upon an almost Disney-like play. A bear and a wolf chilling and even eating together as if they lived together for years. It's extremely rare to see these two type of animal species become best friends, because usually they are far from liking each other. It's also odd because bears usually prefer to live alone. Wolves however, often are together and are part of a so-called wolf pack. I wonder what happens if these two rare friends meet another bear or a group of wolves. One thing is certain, it's beautiful to see the animal kingdom getting along. "No-one can know exactly why or how the young wolf and the bear became friends. I think that perhaps they were both alone, young and a bit unsure of how to survive in the wilderness. It seems to me that they feel safe being together, and so every evening met up for dinner."